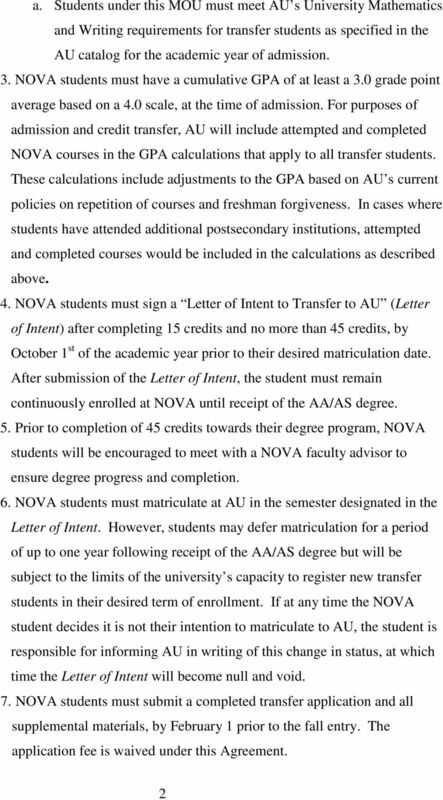 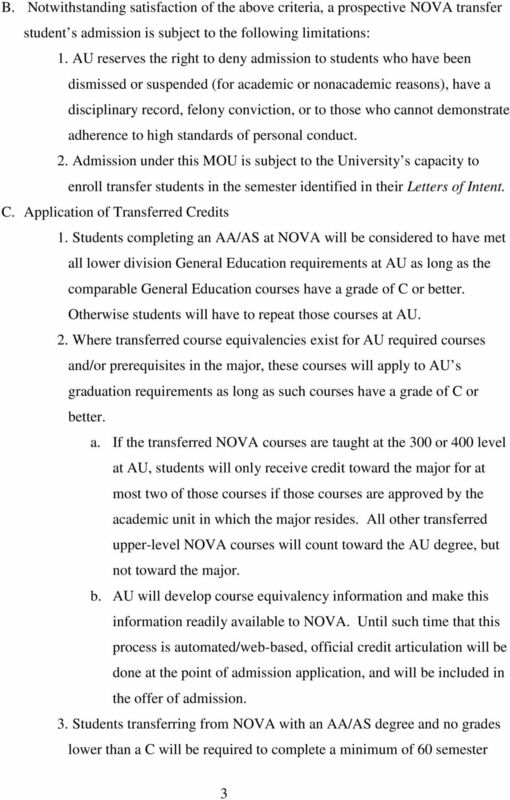 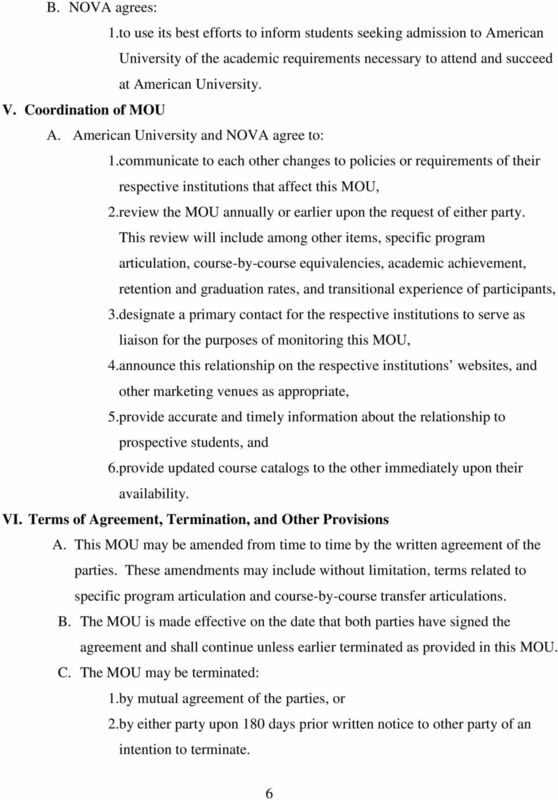 Download "Memorandum of Understanding Between American University 4400 Massachusetts Avenue, N.W. 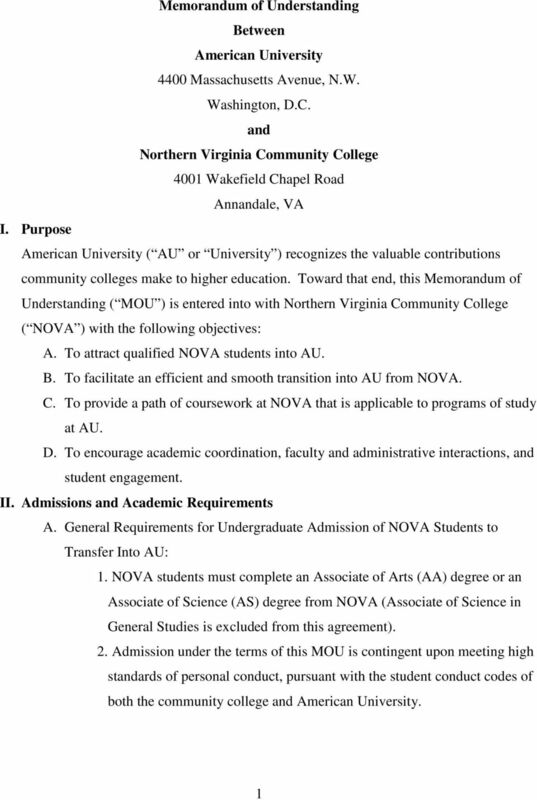 Washington, D.C. and Northern Virginia Community College 4001"
ARTICULATION AGREEMENT Associate of Applied Science Degree: Business Management and Bachelor of Science in Real Estate and Economic Development Entered into this day of, 2007. 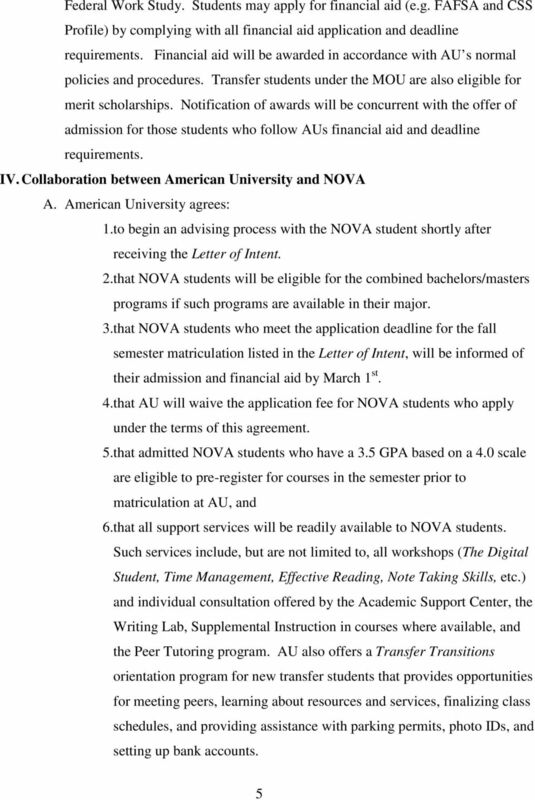 (date) (month) Robert L.
PRE-TEACIIER EDUCATION ADMISSION AGREEMENT Early/Elementary Education (NK-6) Virginia Community College System AND Virginia Commonwealth University Virginia's classrooms need for highly qualified teachers. 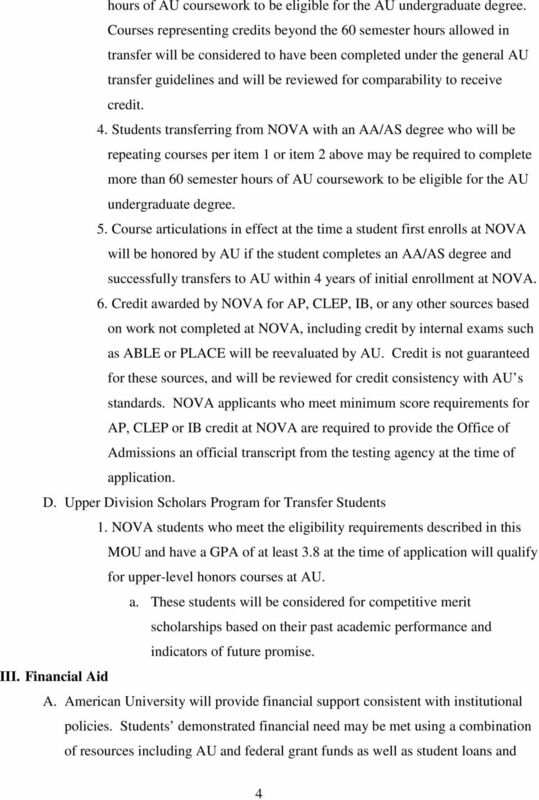 ARTICULATION AGREEMENT Associate of Arts in General Studies & Bachelor of Science in Corporate Communication Entered into this day of 2007. 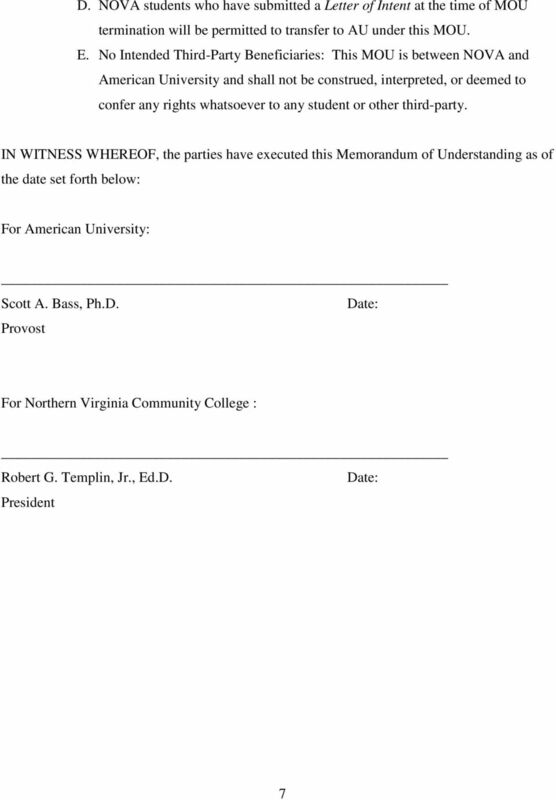 Robert L. Bogomolny President James F. LaCalle President Dr.
ARTICULATION AGREEMENT Baltimore City Community College Associate of Applied Science Degree in Arts and Sciences, Science Option.